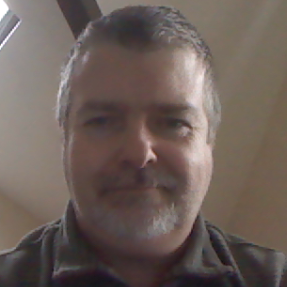 My name is Dave Dand, ?I am a freelance Internet marketing consultant, web developer and web programmer and I am very interested in making money on-line. So much so that I have decided to do a blog. I am too modest call myself a marketing guru but I do make a living from the Internet.? I have a very good knowledge of the Internet and computers in general. My background is in web programming and making websites. I have a post graduate certificate in software technology from Liverpool University. Actually, I have been making money on-line for a while by working and selling things. We have all done Ebay and I have sold holidays and more recently, I have been teaching English. Here is a link to my website: http://www.english-club.org.uk/. The problem is that, this is, in my opinion, cheating. I am actually working directly to get money. This is ok, I am happy to work but I am thinking now that I really must find a way of getting my computer to do the work because, one day, I will want to take it easier. I think most people call that retiring! Let?s face it, any of us could be sick at any time and the need for money doesn?t go away and in fact increases. There are many people who are doing ?automated income? systems but I have not bought any of them as yet, although I have been close on several occasions. I hope that this blog will make me money but I have no plans to sell you anything at the moment anyway. What I am hoping to achieve is to have a discussion about the whole money problem and try to find an ethical way of earning a good income on-line. I also hope that you (the readers) will participate by posting comments and ideas. So read on because there is no big yellow button at the bottom of the page giving you a $2000 course for just $50 if you are one of the first 15! I have been thinking about the whole money problem for a while now and I keep going round and round in circles in my head. ?What is money? ?, was where I started and ?why is it so important that most of us think of nothing else all day either directly or indirectly??. By indirectly I mean we have a job and that brings the money and it is the pursuit of money that dictates our lives. I am very lucky, I live in the UK so I have access to social security and medical care for free. However my wife is from the Philippines and life over there is can be really squalid. Don?t get me wrong, there are some really nice places and people make the most of what they have. They are well turned out and usually have a big smile on their faces but dig a little deeper and you find some real problems. The average pay for unskilled work is about ?45 or $70 per month and there seem to be few opportunities for people. There are many places in the world where people are really poor and this has a profound effect on peoples lives. I watched a program on the TV recently about Thailand. Hotel workers were earning ?4.5 per day but to do this they had to leave their families and travel to the tourist areas. Some of them had not seen their children for years. Clearly poverty in the UK is a lot less severe than poverty in some other countries. I mention poverty to show the importance of money. If you have wealth you can get the best medical treatment, the best hotels, have the time to work on your health and fitness and everything else. If Darwin is to be believed then today?s ?survival of the fittest? is about the ability to earn money. So what is money? Paper or coins that represent value perhaps. Actually, money is useless unless people believe in it. If you are lost at sea in a rowing boat with a big bag of money, it is of no use. You can?t drink it or eat it. You will die with or without money. So money represents value. In the boat lost at sea, fresh water and food are valuable because this is what will keep you alive. However value changes. In times of abundance people will share food, but when things get really bad people will fight for it. My uncle was in a prison camp during the second world war and witnessed 2 prisoners fight to the death over a small potato. So really it is the value that money represents that is what is important and we all know that scarcity increases value. I think that this is a great shame because this is where poverty springs from. If you have nothing else, you can only sell your labour and if labour is not scarce then you can?t earn much money. Sadly it seems that if money is not scarce then it has no value either. I don?t want to take a position for or against ?the system? as this is what we have at the moment and what we must work with. ?HONG KONG ? China?s fastest-rising currency isn?t the yuan. It?s the QQ coin ? online play money created by marketers to sell such things as virtual flowers for instant-message buddies, cellphone ringtones and magical swords for online games. In recent weeks, the QQ coin?s real-world value has risen as much as 70%.? To buy coins for cash see: http://coinpal.ndrix.com/ where you can buy Bitcoins using your Paypal account. Update: (16/May/2011) Nicholas Carlson becomes the first guy to take a job paid in Bitcoins. i found this site very useful information and gain lot of knowledge from here. Sir, Dave Dand has great personality and he is great teacher and master mind person i ever found on my 15 years career on internet. Love the presentation. Hope to study it soon. I also am looking into making money online and started an online store – http://www.alloit.com, thanks for the article…good information!